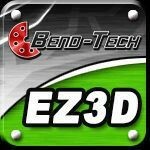 Bend-Tech EZ3D Software. Calculates bend angles and rotations for precise results on all bending projects. *FREE with purchase of machine.